Just signed a bunch of books and drew a character in each. To get one, go HERE. But be quick, because they tend to sell quick. While on the Facebook fan page, click the little “Like” button and I think you’ll get notifications of whenever I post. The parking lot I park in here in Santa Rosa no longer has a person that takes your money at the gate. They have one of those little parking machines you have to find and put your money in. The fee this morning was three bucks, so I put in a five-dollar bill and got two dollars back in change. When I took a closer look, I saw that I had received two coins, each with a guy named Franklin Pierce on them. In short, I was the victim of a practical joke. That last phrase is a fancy way of saying he triggered the Civil War. Okay, so my guess is that someone here in Santa Rosa is minting coins in his basement. Which is fine. My only comment to him is that he could have picked someone funnier. Liberace and Scottie Pippen come to mind. Now the even worse scenario here is that the coin is somehow REAL and that the U.S. Mint has finally gotten so low on the List of People Whose Heads Should Be On Coins that we’re down to idiots who have caused sectional strife. 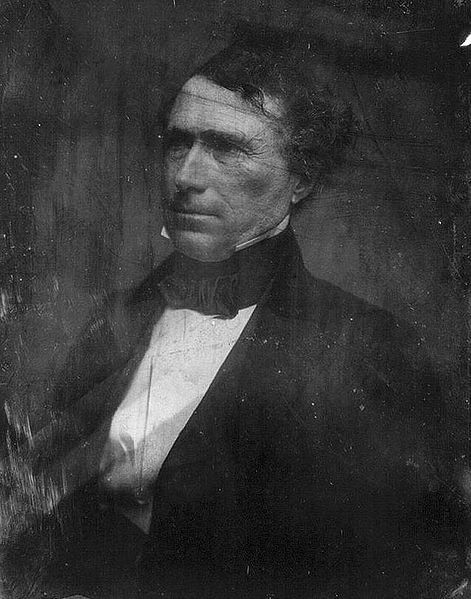 3) My hair is more stylish than that of Franklin Pierce. Which is not to say mine is stylish. But please, look at this goofy mess. And don’t say it’s a 19th century thing. Because Lincoln was from that era, and except for that mole, he looked great. So if you have some pull at the U.S. Mint, please, make things happen. And I don’t want to be pushy, but I’d like it done quickly enough so that the next time I park at that lot in Santa Rosa (probably next Wednesday), my change will have me on it. And to make this as easy as possible, I’ve even located a photograph of me that I think would be nice on a coin. 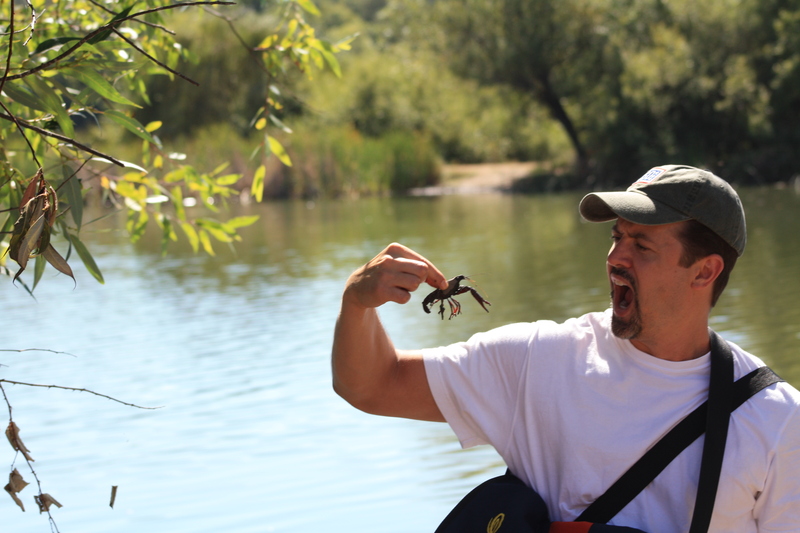 It’s me eating a crawdad I found in a nearby swamp. I’ve carefully chosen this pose because it’s symbolic of how it’s a “dog-eat-dog” world and you have to fight for every dollar you earn. And don’t make fun of that, because it makes way more sense than that silly pyramid with the eye over it on the dollar bill. So please, even if you don’t have any pull at the Mint, you surely have a few seconds to contact the Treasury Department and make sure this happens before Scottie Pippen fans get wind of this and beat me to it. And for bonus points, send me the Treasury Department’s response, which I’ll post here. The worst they can say is no. Which is doubtful, since they’re down to Mr. Funny Hair. And please, no requesting your own face on the coin. While you too may be an idiot, I thought of it first. They Walk, They Talk, They’re ALIVE! The animated Pearls are finally here. Twenty-nine of them, in fact. They were made by a company called Ringtales, the same company that does all the animated Dilbert and New Yorker cartoons. I think many of them came out pretty funny, particularly the croc ones (at least in my opinion). And a couple of them are almost touching (strange, I know). Also, one quick word on the voices. I already know from reader feedback that no two people hear any of their voices the same way. 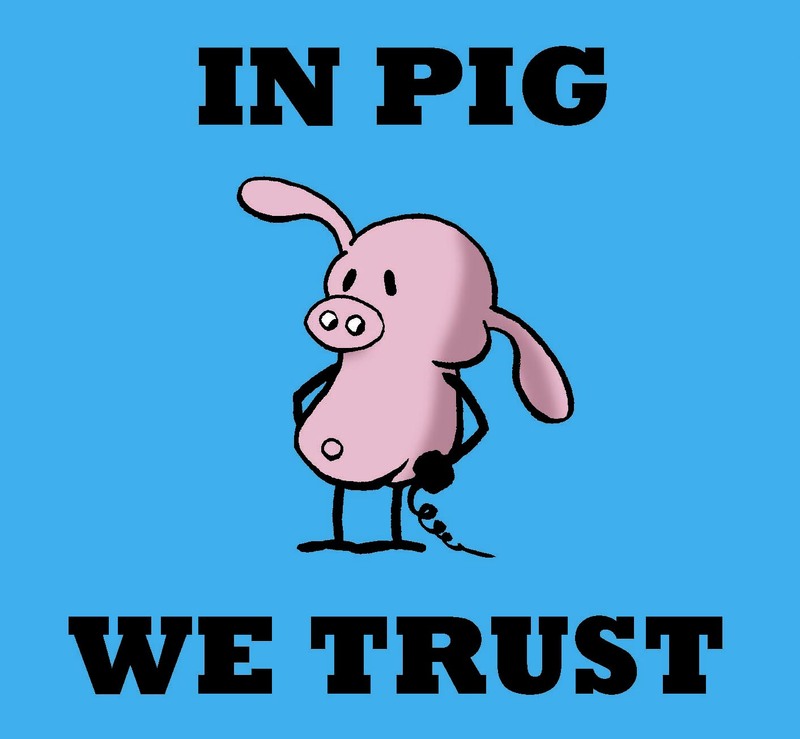 So I know everyone will say, “Whoa, that’s not how I hear Pig’s voice” or “That’s not how Rat sounds.” But these were the closest voices I could find to how I hear them in my head. So click on the image below to go to the animations. And let me know what you think. There will be more in the months to come. I’m eating lunch at an Italian restaurant yesterday when the waitress hands the woman at the table next to me a take-home box for her leftover pizza. Landing on the moon. I’d say that inspires awe. Beethoven composing his 9th Symphony while deaf. That would count. Michelangelo’s lying on his back to paint the ceiling of the Sistene Chapel. Yes, that would do it. Yes, that little leftover box “inspired awe” in that woman. Which he created while lying on his back in the styrofoam container. Hey, it was an Italian restaurant. I’m in the deli section of the grocery store heading for the checkout. But a very old woman is walking in front of me. She is also headed for the checkout. But she is moving extraordinarily slow. Which I suppose is what happens when you’re 92. I want to walk around her, but I feel guilty. Because a voice in my head says I shouldn’t race her to the checkout. A voice in my head says I shouldn’t take advantage of her physical limitations. But we both have brains. 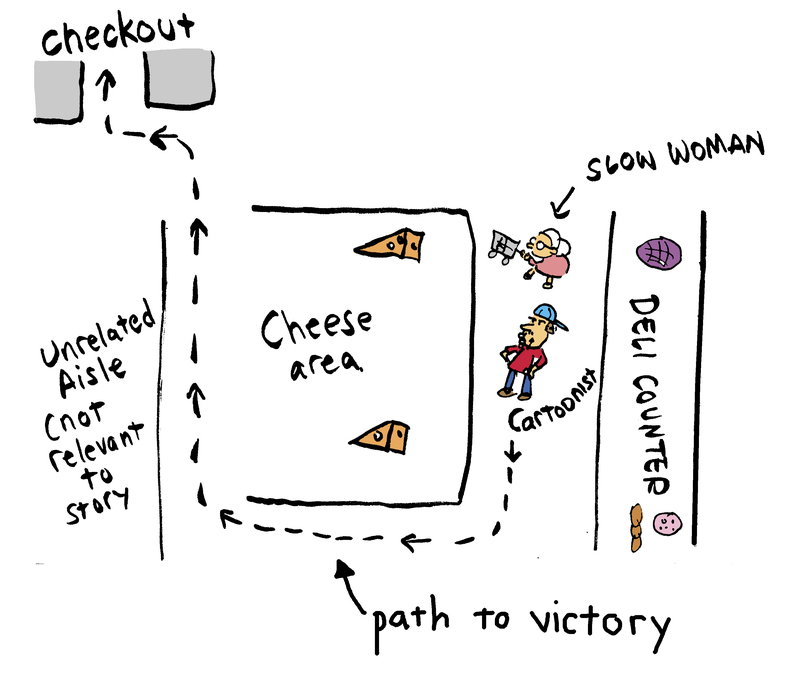 And take a shortcut through the cheese section. When she finally gets to the spot in line behind me, I look back at her. She looks winded. I want to comment on the cheese shortcut. How I bet she wished she’d thought of that. Because I have too much class.